hey everybody out there. thanx for your support. we just wanna let you know about whats happening right now. 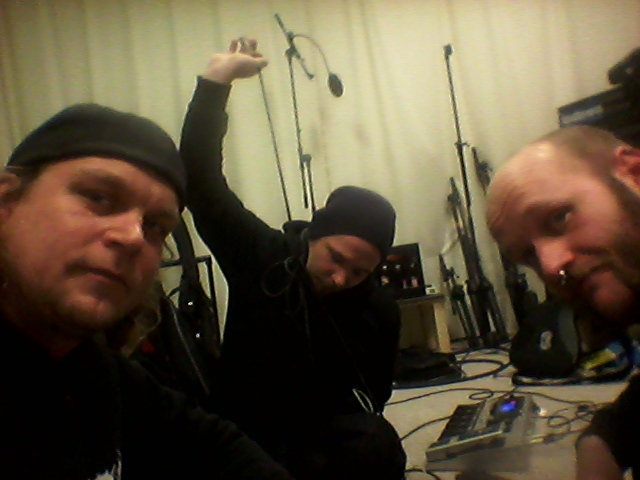 Pre production for the new lp are done. we basically practise the songs now and we reached the stage of writing lyrics because finally the song writing process is pretty much over. we just gonna add some guitars and write lyrics. after a 2 year break we will return on stage with fresh songs and a new concept for the live show. the new songs as well as the live shows will be different then the stuff we did before. clean vocals? maybe . well, dont expect it to be, just another grindcore record. like it or not. we just do want anyways. thanx guys. keep in touch. we still have some merch though. lots of merch. want some??? and records too. just an idea for a new song....not very tight and some little mistakes ,but hopefully enough to keep everyone starving for a new who´s my saviour record.......next year guys.....! but check this out and give us some feedback via our facebook site..